INDUSTRY.co.id - Jakarta - The power grid in East Kalimantan and South Kalimantan has been successfully combined in an interconnection which is marked by the flow of electricity through a 150 kilo Volt (kV) cable from the PLTU Sub-Station Balikpapan in East Kalimantan to GI Tanjung in South Kalimantan. "The hard work of all parties, especially PLN, now we have Mahakam-Barito System, East Kalimantan and South Kalimantan interconnection, we expect the availability of power reserves in East Kalimantan system can improve the reliability of electricity in those two provinces," said Head of Communications and Information Services Bureau Public Ministry of ESDM, Agung Pribadi in Jakarta, Friday (1/6/2018). Agung conveyed that interconnection is not only halted on the Kaltim-Kalsel system, but the electricity system can be connected to the province of North Kalimantan. "Later on the interconnection throughout Kalimantan, which has more production, can be distributed to other places that need it," he continued. Previously, PLN Regional Director of Kalimantan Machnizon said the reliability of the interconnection system was due to the availability of power reserves in Mahakam System (Kaltim) of 155.46 MW and Barito System (Kalsel) of 92 MW. 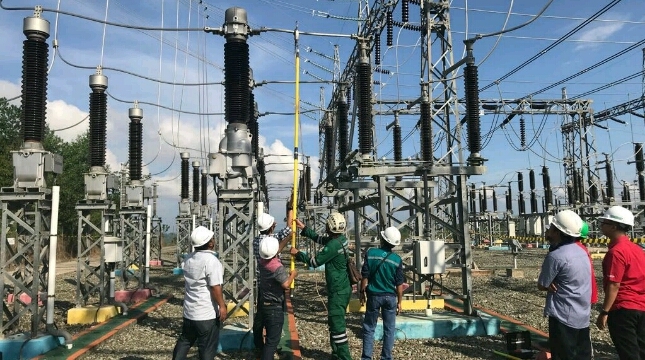 "This interconnection makes the reliability of the Barito power system in South Kalimantan supported by the electricity supply of existing plants in the Mahakam system of East Kalimantan," Machnizon said. Machnizon explains the need for electrical energy in East Kalimantan Province supplied by Mahakam system serving the City of Balikpapan, Samarinda, Tenggarong, and Bontang. The Mahakam System's current power reaches 547.63 MW with peak load of 392.17 MW, so there is available 155.46 MW backup powers in Mahakam System. "With the supply of electricity from the Balikpapan Bay Steam Power Plant (2x110 MW), PLTGU Tanjung Batu 100 MW, private electricity and other power plants, this power reserve makes the electrical condition in East Kalimantan Province better," Machnizon said. In addition, Machnizon said, this interconnection also lowers the cost of providing electricity (BPP) of East Kalimantan and South Kalimantan. "With the presence of this interconnection we also turned off some PLTD-fueled HSD (High Speed ​​Diesel)," added Machnizon. He also said that reliable electricity supply and accelerated development of electricity infrastructure are expected to increase economic growth in both provinces. "It is expected to contribute to economic growth and create a better investment climate in East Kalimantan and South Kalimantan," concluded Machnizon.